As the summer hits and the weather gets hotter, red wine can seem like a crazy option but white, now that’s a different matter. 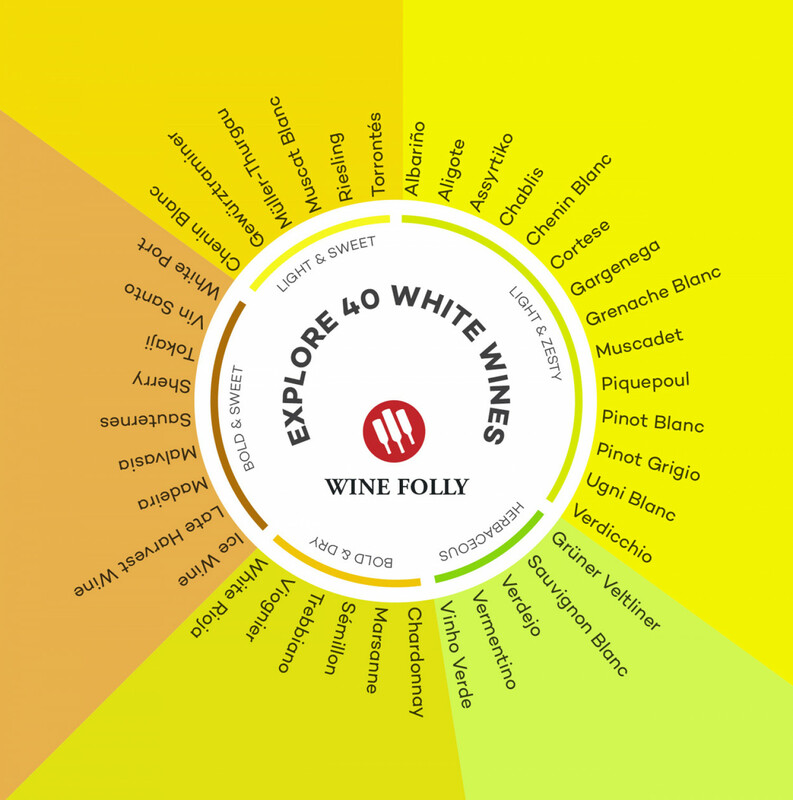 A crispy, cold white wine can be the perfect drink when dining in summer and this infographic from Wine Folly sets out 40 different types of white wine from sweet to dry. The wine wheel, as we’ll call it, lists the wines in different sections:bold & Dry, Bold & Sweet, Light & Sweet, Light & Zesty and finally, Herbaceous. If you’re really trying to get to grips with whites and the basics foundation of tastes they offer, this is a great resource to look at.